Designed to fit all Asus Laptops from 18 volts to 20 volts, the USAAsus28 PowerDuplex Universal AC Switching Adaptor provides optimal power. Now available with a new right-angled (90 degree) connector that reduces cable stress and four interchangeable tips, made exclusively for Asus, you are guaranteed to have found the correct charger for your laptop. As a replacement or back-up adapter, be prepared with the right connection. What is more? The AC mains power cord is included! One charger fits ALL Asus laptops!! Compatibility: This power cord has been tested and validated to ensure it is compatible with all Asus laptop series: ALL-IN-ONE PC, AsusPro, Asus Pro, Chromebook, EEE, EEE BOX, EEE BOX PC, EEE PC, EEE TOP, EeeBook, LAMBORGHINI Pro, TAICHI, VivoBook, VivoBook Pro, VivoBook S, Zenbook, ZENBOOK Touch, ZenBook Pro, ZenBook Deluxe, B Series, E Series, Republic Of Gamers, ZOOSTORM and more. 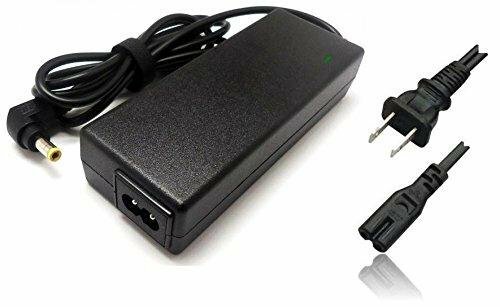 Designed to fit all Asus Laptops from 18 volts to 20 volts, the USAAsus28 PowerDuplex Universal AC Adapter Charger provides optimal power. Now available with a new right-angled (90 degree) connector that reduces cable stress and four interchangeable tips, made exclusively for Asus, you are guaranteed to have found the correct charger for your laptop. As a replacement or back-up adapter, be prepared with the right connection. What is more? The AC power cord is included! 4 interchangeable barrel tips included - Exclusively made for Asus Laptops. Not like other universal adapters that include tips for other brand - PowerDuplex AC Charger is GUARANTEE to work with your Asus Laptop, Notebook or Tablet! If you have any questions about this product by Your Online Power Supplier Powerduplex, contact us by completing and submitting the form below. If you are looking for a specif part number, please include it with your message.